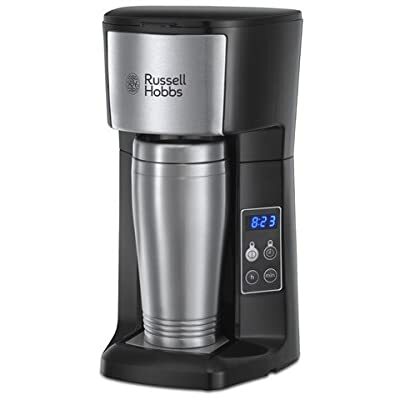 RUSSELL HOBBS BREW & GO COFFEEMAKER * Brews ground coffee * Permanent coffee filter * No paper filters required - saves money and the environment * Includes 450ml Stainless Steel travel mug * 24 Hour programmable timer * Adjustable drip tray - fits travel mugs and standard sized cups * Stainless Steel drip tray - collects any spills and is easy to clean * Auto shut off * The Russell Hobbs Brew & Go Coffee Maker is essential for every coffee lover!It produces real coffee from fresh grounds or pods that filter into a detachable 450ml stainless steel travel mug that you can take on the go. Perfect for commuters or if you love a morning coffee and are too busy to have it at home. 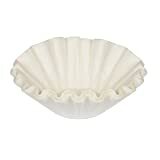 It features 24 hour programmable timer and auto shut-off so that you can set the coffee maker to have your freshly made coffee ready and waiting when you need it the most.Featuring a permanent coffee filter means there are no paper filters required having a permanent filter means you can save money and the environment.With a compact design its the perfect addition to any kitchen.